Bonna Jean Sams, 89, life time resident of White City, Kansas passed away Monday, August 20, 2018, at her residence. She was born September 24, 1928 in White City, the daughter of Russell and Marguerite (Weirich) Pretzer. She graduated from White City and married Dewuain Sams on August 24, 1947. They had five children: Stephen, Russell, Linda, Leah and Tina. Dewuain preceded her in death on December 12, 2005. Bonna was a member of White City United Methodist Church and White City Eastern Star. 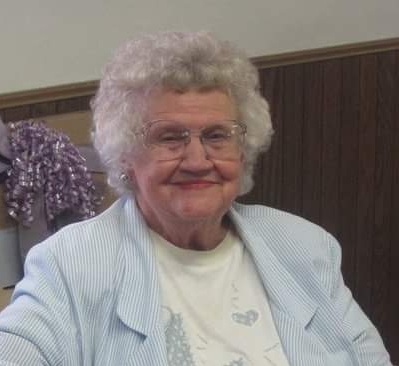 Her hobbies included sewing, crocheting, camping and being a homemaker for her family. She and Dewuane loved dancing, and went to the Eagles in Junction City every Saturday night to dance, along with several of their friends. Bonna and Dewuain also enjoyed going to Texas every winter. Bonna loved her family and her grandchildren were very special to her. She was preceded in death by her parents, husband, sisters, Thelma DeLuca and Ernestine Nedza; brother Junior Pretzer; daughter Leah Webb, and son-in-law Bob Arnold. 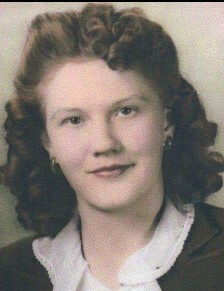 Bonna is survived by her children; Stephen Sams and wife Diane, of Marion: Russell Sams and wife Kay, of White City: Linda Arnold, of White City: and Tina Radle and husband Dennis, of Durand, WI; 15 grandchildren; 8 great-grandchildren; sister Pauline Evans and Lowell, of White City; and brother Bob and Avis Pretzer, of Council Grove. A memorial graveside service will be at 10:00 A.M., Friday, August 24, 2018, at White City Cemetery. Memorial contributions may be made to White City Christian Church or White City United Methodist Church. They may be sent in care of Zeiner Funeral Home, PO Box 273, Council Grove, KS 66846.